I had needed help moving the filing cabinet from the chapel’s wing which serves as my classroom. I was using it as a tall stand for the projector. That was on Friday. We cleaned everything up, but there were fun things outside, and so I quickly deemed everything put-back. 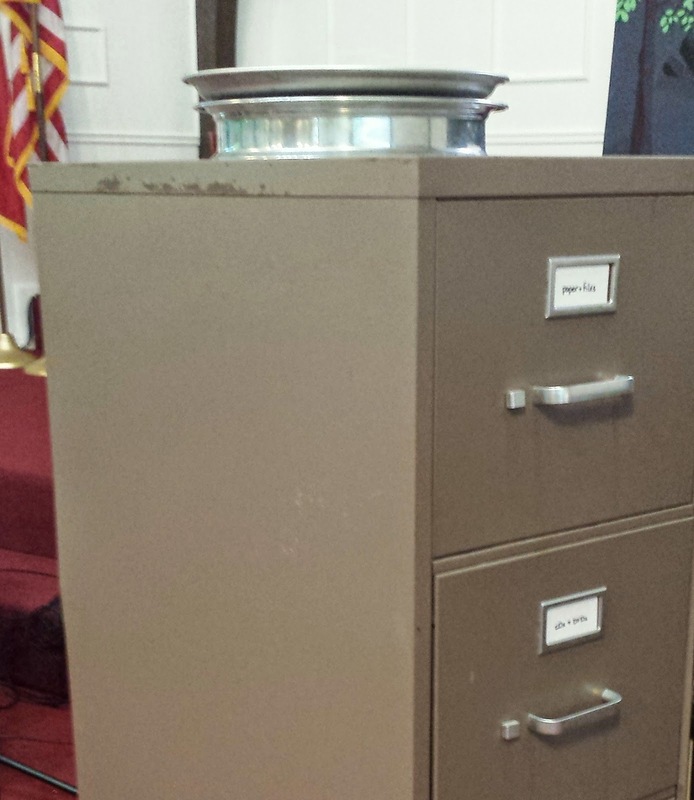 How did I miss the big filing cabinet in the middle of the floor? When I opened the door to the chapel on Sunday afternoon it glared at me, “What cha gonna do with me now?” I could not move it by myself. It would be right there for our Chapel Service. Right there for communion. It would make an unconventional communion table. But it would be the perfect place. The sacred on the daily. The holy on the mundane. It did something to me. It made me see my filing cabinet and the work that it enables as something of the divine. The sacrifice of Christ transforming my classroom supplies and files into what they really are: instruments of worship that can (with His power alone) glorify God. What's right in front of you. A steering wheel? The dishwasher? The book that you are going to read for the millionth time? The laptop? The phone? Whatever it is, that can be the instrument God uses to bring Glory to Himself.